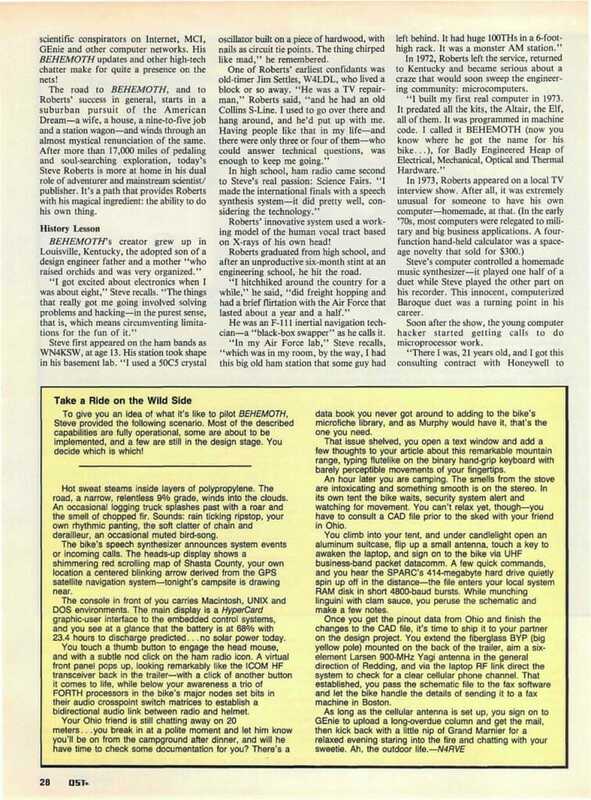 This article was written by Kirk Kleinschmidt, NT0Z (long-time amateur-radio columnist and author of Stealth Amateur Radio). He met me on the road in Iowa, and wrote this decidedly atypical piece for the ARRL flagship journal… opening doors for the next two decades as I meet people on the air, mention my history, and hear: “ahh, you’re that guy with the bike… I read about you in QST.” Of course, as weird as this was, there were more than a few hams who were fully convinced it was the magazine’s April Fool’s feature! The piece captures something of the flavor of the brief BEHEMOTH adventure, which was the übergeek footnote to 16,000 miles on the two previous versions. Only a few months later, I got caught up in the speaking business and launched the ten-year Microship project. Around 2001, the bike moved to the Computer History Museum in Silicon Valley, where it still resides as part of the permanent Revolution exhibit. Before you get your hopes up, you should know that getting to know the real Steve Roberts is almost impossible. He’s not antisocial or anything like that, it’s just that he’s done so much, so unconventionally, and his mind is always working on so many different levels—like a multitasking computer, to put it in terms Steve relates to—that it takes a while to get past the outer layers of the onion. In essence, N4RVE’s done what most of us have always wanted to do if we could only act on the whispers from that little voice inside us. In a fascinating (and generally socially responsible way), the 39-year-old Roberts makes his living by doing exactly what he wants, when he wants, and with whom he wants. Oh sure, every moment isn’t all sweetness and sunshine. But for the technical whiz kid who never could reconcile a nine-to-five job, Nomadic Research Labs (Steve’s “corporate identity”) and BEHEMOTH (a million-dollar rolling research lab, ham shack and virtual environment disguised as a recumbent bicycle) provide Roberts with the kind of freedom most of us only dream of. These days, when he’s not on an extended road trip with BEHEMOTH (which stands for Big Electronic Human Energized Machine… Only Too Heavy), he’s hard at work in his 1200-square-foot lab, tucked away in a little-used building at the Sun Microsystems facility in Mountain View, California. It’s here where most of BEHEMOTH’S technological wizardry is tested and implemented. In exchange for the lab space (Steve mostly lives there, too, dressing in beachcomber’s attire and keeping weird, “mad scientist” hours) and lots of computing power, Steve holds an open house for Sun’s engineers every Friday afternoon. It’s an exchange that’s been beneficial to both parties. Steve’s list of industry sponsors, the people who provide all of the goodies for the bike and its many systems, has topped 150. “That’s a lot of relationships to maintain,” Roberts jokingly laments. Although quick to give credit to others, N4RVE is the driving force, technically and spiritually, behind BEHEMOTH. 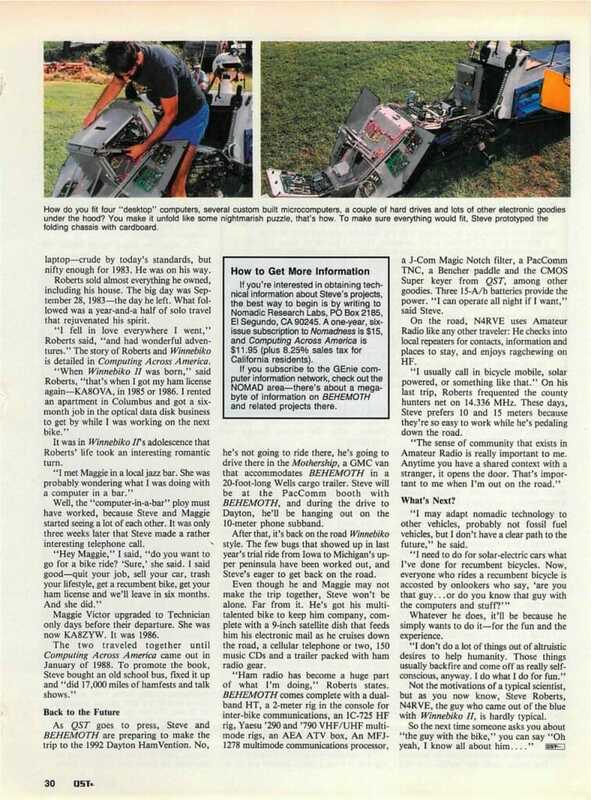 As you’ll see in the sidebar “Technical Details,” most of the bike’s key microcomputer systems were conceived, designed, built, programmed, hacked and made operational by Roberts himself. To keep food on the table (so to say; Roberts usually eats in the Sun cafeteria), Roberts and his futuristic bike make occasional appearances at technical symposiums, technology expos and ham radio conventions. To have Roberts and BEHEMOTH draw gaggles of curious onlookers to a lucky sponsor’s booth, or to have him explain the bike’s systems in detail to industry experts, can cost as much as $5000. For the past four years—punctuated by a six-month shakedown cruise and other brief interruptions—Steve has been building and polishing BEHEMOTH, the third incarnation of his computer/ham radio/bicycle hybrid. The first two versions, Winnebiko and Winnebiko II, started the evolutionary process. Comparing Winnebiko to BEHEMOTH is like comparing a Piper Cub to an F-15. 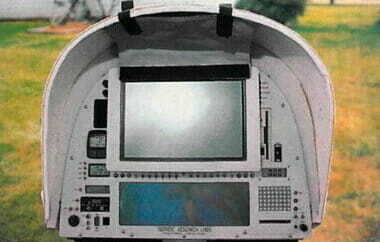 Nevertheless, Roberts racked up more than 10,000 miles on the slim-and-trim Winnebiko, with its then-radical solar panel, CB radio (for emergencies) and Tandy Model 100 laptop computer. His exploits found their way into Computing Across America, a zany chronicle of life and love on the road, which Roberts wrote in 1985, and into hundreds of magazine and newspaper articles around the world. 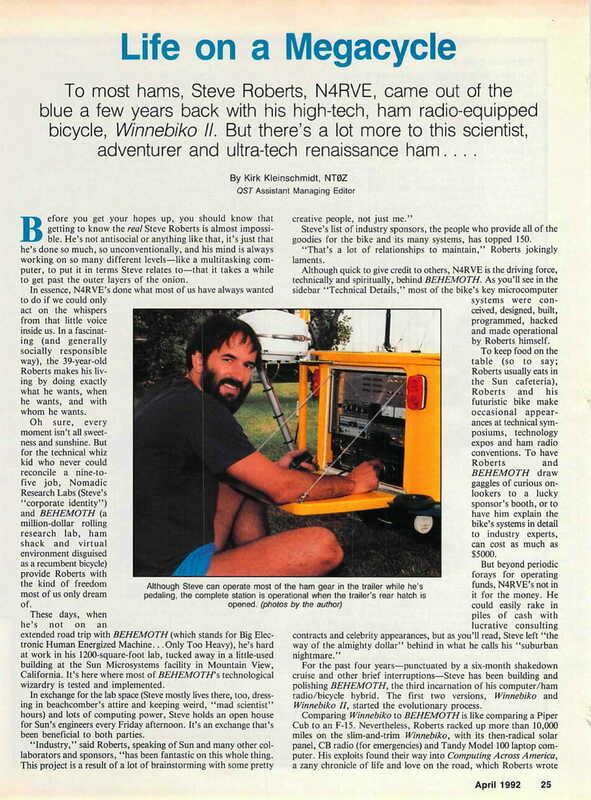 Winnebiko II, covered periodically in the Amateur Radio press and elsewhere, quenched Steve’s desire for more computing and communications power. Thanks to a keyboard built into the handlebars, he could type and operate his computer as he rode down the highways and byways. Winnebiko II also sported amateur packet radio, 2-meter FM, a Ten-Tec Argonaut for campsite HF operating, a few onboard computers to monitor critical systems and to process an increasing amount of computer chatter, and one of BEHEMOTH’S trademarks: a trailer. Along with Maggie Victor, traveling companion and confidant, who had her own recumbent bike and a brand new amateur ticket, KA8ZYW, Steve pedaled Winnebiko II some 7000 miles, starting in 1986. After riding through three years of significant change, however, even the technologically advanced Winnebiko II was ready for a serious refit. So in 1989, Steve headed for Silicon Valley to start work on BEHEMOTH, which had officially displaced Winnebiko III as the name for the third-generation superbike. In addition to his informal work at Sun Microsystems, Roberts provides engineering analysis and expert feedback on the hardware he gets from his industry sponsors through Nomadic Research Labs. He also publishes The Journal of High-Tech Nomadness, a magazine for technomads (armchair or otherwise) that’s formed around Steve’s off-the-wall perspective and sense of humor. Steve consults with his scientific conspirators on Internet, MCI, GEnie and other computer networks. His BEHEMOTH updates and other high-tech chatter make for quite a presence on the nets! The road to BEHEMOTH, and to Roberts’ success in general, starts in a suburban pursuit of the American Dream—a wife, a house, a nine-to-five job and a station wagon—and winds through an almost mystical renunciation of the same. After more than 17,000 miles of pedaling and soul-searching exploration, today’s Steve Roberts is more at home in his dual role of adventurer and mainstream scientist/ publisher. It’s a path that provides Roberts with his magical ingredient: the ability to do his own thing. 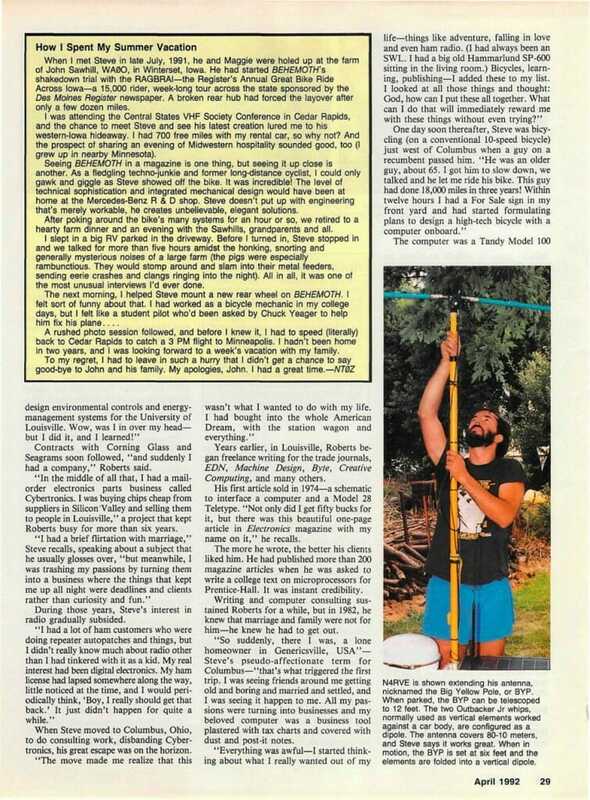 Steve first appeared on the ham bands as WN4KSW, at age 13. His station took shape in his basement lab. “I used a 50C5 crystal oscillator built on a piece of hardwood, with nails as circuit tie points. The thing chirped like mad,” he remembered. Roberts’ innovative system used a working model of the human vocal tract based on X-rays of his own head! Roberts graduated from high school, and after an unproductive six-month stint at an engineering school, he hit the road. He was an F-111 inertial navigation technician—a “black-box swapper” as he calls it. In 1972, Roberts left the service, returned to Kentucky and became serious about a craze that would soon sweep the engineering community: microcomputers. Steve’s computer controlled a homemade music synthesizer—it played one half of a duet while Steve played the other part on his recorder. This innocent, computerized Baroque duet was a turning point in his career. Soon after the show, the young computer hacker started getting calls to do microprocessor work. Contracts with Corning Glass and Seagrams soon followed, “and suddenly I had a company,” Roberts said. “In the middle of all that, I had a mail-order electronics parts business called Cybertronics. I was buying chips cheap from suppliers in Silicon Valley and selling them to people in Louisville,” a project that kept Roberts busy for more than six years. During those years, Steve’s interest in radio gradually subsided. When Steve moved to Columbus, Ohio, to do consulting work, disbanding Cybertronics, his great escape was on the horizon. Years earlier, in Louisville, Roberts began freelance writing for the trade journals: EDN, Machine Design, Byte, Creative Computing, and many others. His first article sold in 1974 – a schematic to interface a computer and a Model 28 Teletype. “Not only did I get fifty bucks for it, but there was this beautiful one-page article in Electronics magazine with my name on it,” he recalls. The more he wrote, the better his clients liked him. He had published more than 200 magazine articles when he was asked to write a college text on microprocessors for Prentice-Hall. It was instant credibility. Writing and computer consulting sustained Roberts for a while, but in 1982, he knew that marriage and family were not for him—he knew he had to get out. “So suddenly, there I was, a lone homeowner in Genericsville, USA”— Steve’s pseudo-affectionate term for Columbus—”that’s what triggered the first trip. I was seeing friends around me getting old and boring and married and settled, and I was seeing it happen to me. All my passions were turning into businesses and my beloved computer was a business tool plastered with tax charts and covered with dust and post-it notes. The computer was a Tandy Model 100 laptop—crude by today’s standards, but nifty enough for 1983. He was on his way. Roberts sold almost everything he owned, including his house. The big day was September 28, 1983—the day he left. What followed was a year-and-a half of solo travel that rejuvenated his spirit. “I fell in love everywhere I went,” Roberts said, “and had wonderful adventures.” The story of Roberts and Winnebiko is detailed in Computing Across America. It was in Winnebiko II’s adolescence that Roberts’ life took an interesting romantic turn. Well, the “computer-in-a-bar” ploy must have worked, because Steve and Maggie started seeing a lot of each other. It was only three weeks later that Steve made a rather interesting telephone call. Maggie Victor upgraded to Technician only days before their departure. She was now KA8ZYW. It was 1986. 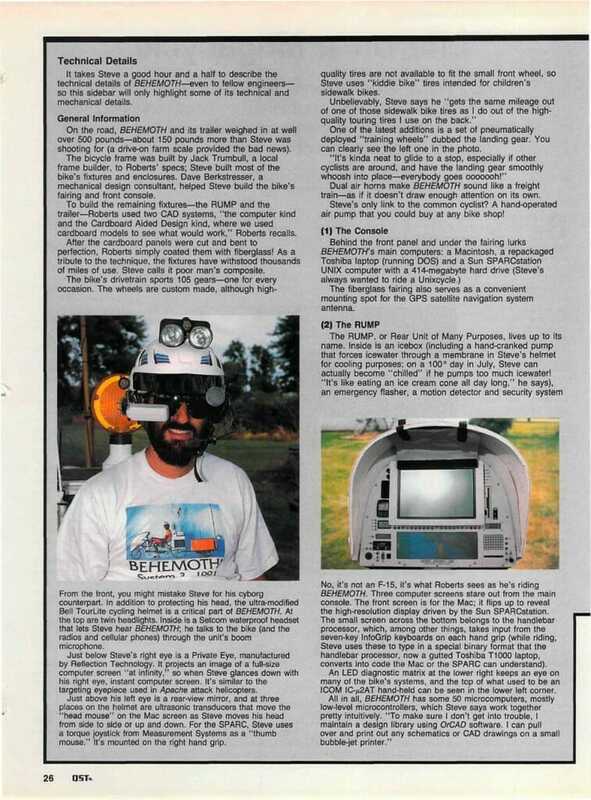 As QST goes to press, Steve and BEHEMOTH are preparing to make the trip to the 1992 Dayton HamVention. No, he’s not going to ride there, he’s going to drive there in the Mothership, a GMC van that accommodates BEHEMOTH in a 20-foot-long Wells cargo trailer. Steve will be at the PacComm booth with BEHEMOTH, and during the drive to Dayton, he’ll be hanging out on the 10-meter phone subband. After that, it’s back on the road Winnebiko style. The few bugs that showed up in last year’s trial ride from Iowa to Michigan’s upper peninsula have been worked out, and Steve’s eager to get back on the road. Even though he and Maggie may not make the trip together, Steve won’t be alone. Far from it. He’s got his multi-talented bike to keep him company, complete with a 9-inch satellite dish that feeds him his electronic mail as he cruises down the road, a cellular telephone or two, 150 music CDs and a trailer packed with ham radio gear. “Ham radio has become a huge part of what I’m doing,” Roberts states. BEHEMOTH comes complete with a dual-band HT, a 2-meter rig in the console for inter-bike communications, an IC-725 HF rig, Yaesu ‘290 and ‘790 VHF/UHF multi-mode rigs, an AEA ATV box, An MFJ-1278 multimode communications processor, a J-Com Magic Notch filter, a PacComm TNC, a Bencher paddle and the CMOS Super keyer from QST, among other goodies. Three 15-A/h batteries provide the power. “I can operate all night if I want,” said Steve. On the road, N4RVE uses Amateur Radio like any other traveler: He checks into local repeaters for contacts, information and places to stay, and enjoys ragchewing on HF. “I usually call in bicycle mobile, solar powered, or something like that.” On his last trip, Roberts frequented the county hunters net on 14.336 MHz. 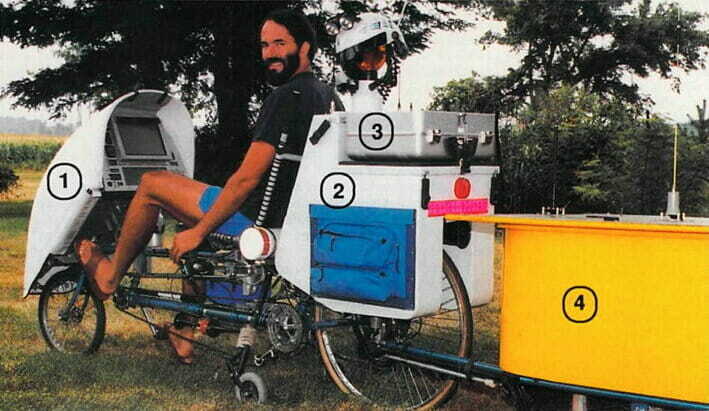 These days, Steve prefers 10 and 15 meters because they’re so easy to work while he’s pedaling down the road. “I may adapt nomadic technology to other vehicles, probably not fossil fuel vehicles, but I don’t have a clear path to the future,” he said. Whatever he does, it’ll be because he simply wants to do it—for the fun and the experience. Not the motivations of a typical scientist, but as you now know, Steve Roberts, N4RVE, the guy who came out of the blue with Winnebiko II, is hardly typical. It takes Steve a good hour and a half to describe the technical details of BEHEMOTH— even to fellow engineers—so this sidebar will only highlight some of its technical and mechanical details. On the road, BEHEMOTH and its trailer weighed in at well over 500 pounds—about 150 pounds more than Steve was shooting for (a drive-on farm scale provided the bad news). The bicycle frame was built by Jack Trumbull, a local frame builder, to Roberts’ specs; Steve built most of the bike’s fixtures and enclosures. Dave Berkstresser, a mechanical design consultant, helped Steve build the bike’s fairing and front console. To build the remaining fixtures—the RUMP and the trailer—Roberts used two CAD systems, “the computer kind and the Cardboard Aided Design kind, where we used cardboard models to see what would work,” Roberts recalls. After the cardboard panels were cut and bent to perfection, Roberts simply coated them with fiberglass! As a tribute to the technique, the fixtures have withstood thousands of miles of use. Steve calls it poor man’s composite. The bike’s drivetrain sports 105 gears—one for every occasion. The wheels are custom made, although high-quality tires are not available to fit the small front wheel, so Steve uses “kiddie bike” tires intended for children’s sidewalk bikes. One of the latest additions is a set of pneumatically deployed “training wheels” dubbed the landing gear. You can clearly see the left one in the photo. Dual air horns make BEHEMOTH sound like a freight train — as if it doesn’t draw enough attention on its own. Steve’s only link to the common cyclist? A hand-operated air pump that you could buy at any bike shop! The fiberglass fairing also serves as a convenient mounting spot for the GPS satellite navigation system antenna. The RUMP, or Rear Unit of Many Purposes, lives up to its name. Inside is an icebox (including a hand-cranked pump that forces icewater through a membrane in Steve’s helmet for cooling purposes; on a 100° day in July, Steve can actually become “chilled” if he pumps too much icewater! “It’s like eating an ice cream cone all day long,” he says), an emergency flasher, a motion detector and security system hardware, a CD player and a couple of small Blaupunkt stereo speakers (aimed forward on each side of Steve’s head). The bike’s security system would make Darth Vader proud. It has six security levels, the most significant of which is a change in GPS navigation coordinates without the right password. Earlier levels check to see whether the wheels are turning, or if anyone is touching the bike. If the system is tripped, BEHEMOTH calls the backpack (described next), which is almost always with Steve. If Steve isn’t able to command various responses (such as activating a siren, having the front wheel lock up to resist motion, or talking to the would-be perpetrators via the speech synthesizer) the bike starts beaconing its coordinates on packet frequencies, dials 911 on the cellular phone and uses the speech synthesizer to say “Hello. I’m a bicycle. I’m being stolen, here are my coordinates,” and so on. The backpack (in this photo it’s still an aluminum case) detaches from the RUMP to allow Steve to stay in touch with the bike’s six-level security system and the main computers, satellite dish and cellular phone. Inside is a laptop computer that talks to the bike through a UHF business-band FM link running 4800-bit/s AX.25 packet radio. One of Steve’s favorite tricks is to have the bike talk to curious children. Text typed in remotely at the laptop can easily be “spoken” by the bike’s speech synthesizer. Roberts listens to the kids through an audio link that’s part of the security system. The youngsters generally have fun talking to BEHEMOTH until their mother shows up, when the bike suddenly clams up (if the “bike” is in a “naughty” mood, however, it may talk to mom in a flirtatious manner). The trailer, also called the WASU (pronounced wazoo, as in “up the,” which stands for Wheeled Auxilliary Storage Unit), contains the bike’s power-generating station (the top is covered with solar panels that provide up to 72 watts of power), the ham station (complete with an ATV station and a miniature 8-mm video camera), a Qualcomm satellite dish and receiver (mounted on the rear; it automatically tracks a geosynchronous satellite with its 14-GHz uplink and a 12-GHz downlink antenna), telephone and satellite modems, a complete electronics design lab. The minilab is quite capable. It features a standard tool kit and a small solid-state scope (20-MHz dual-trace), a butane Ultratorch for soldering and heat-shrinking, a Fluke do-it-all DMM, a prototyping board and a “fairly robust R&D stock,” among other goodies. Steve does have to fuss with the bike’s electronics every now and then, but the lab is also used to design and prototype future projects (BEHEMOTH’S audio switch-point matrix was partially designed on the road, for example). A mobile work environment is what the bike is all about. Just when you think there’s no more room in the trailer – surprise! Most of its interior space is taken up by Steve’s camping gear! Not bad for fiberglass-coated cardboard. Just below Steve’s right eye is a Private Eye, manufactured by Reflection Technology. It projects an image of a full-size computer screen “at infinity,” so when Steve glances down with his right eye, instant computer screen. It’s similar to the targeting eyepiece used in Apache attack helicopters. Just above his left eye is a rear-view mirror, and at three places on the helmet are ultrasonic transducers that move the “head mouse” on the Mac screen as Steve moves his head from side to side or up and down. For the SPARC, Steve uses a torque joystick from Measurement Systems as a “thumb mouse.” It’s mounted on the right hand grip. No, it’s not an F-15, it’s what Roberts sees as he’s riding BEHEMOTH. Three computer screens stare out from the main console. The front screen is for the Mac; it flips up to reveal the high-resolution display driven by the Sun SPARCstation. The small screen across the bottom belongs to the handlebar processor, which, among other things, takes input from the seven-key InfoGrip keyboards on each hand grip (while riding, Steve uses these to type in a special binary format that the handlebar processor, now a gutted Toshiba T1000 laptop, converts into code the Mac or the SPARC can understand). An LED diagnostic matrix at the lower right keeps an eye on many of the bike’s systems, and the top of what used to be an ICOM IC-µ2AT hand-held can be seen in the lower left corner. 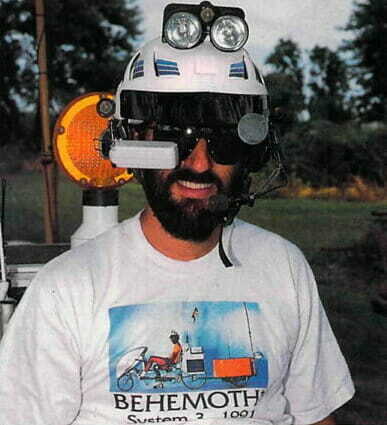 To give you an idea of what it’s like to pilot BEHEMOTH, Steve provided the following scenario. Most of the described capabilities are fully operational, some are about to be implemented, and a few are still in the design stage. You decide which is which! Hot sweat steams inside layers of polypropylene. The road, a narrow, relentless 9% grade, winds into the clouds. An occasional logging truck splashes past with a roar and the smell of chopped fir. Sounds: rain ticking ripstop, your own rhythmic panting, the soft clatter of chain and derailleur, an occasional muted bird-song. The bike’s speech synthesizer announces system events or incoming calls. The heads-up display shows a shimmering red scrolling map of Shasta County, your own location a centered blinking arrow derived from the GPS satellite navigation system—tonight’s campsite is drawing near. The console in front of you carries Macintosh, Unix and DOS environments. The main display is a HyperCard graphic-user interface to the embedded control systems, and you see at a glance that the battery is at 68% with 23.4 hours to discharge predicted… no solar power today. You touch a thumb button to engage the head mouse, and with a subtle nod click on the ham radio icon. A virtual front panel pops up, looking remarkably like the Icom HF transceiver back in the trailer – with a click of another button it comes to life, while below your awareness a trio of FORTH processors in the bike’s major nodes set bits in their audio crosspoint switch matrices to establish a bidirectional audio link between radio and helmet. Your Ohio friend is still chatting away on 20 meters… you break in at a polite moment and let him know you’ll be on from the campground after dinner, and will he have time to check some documentation for you? There’s a data book you never got around to adding to the bike’s microfiche library, and as Murphy would have it, that’s the one you need. That issue shelved, you open a text window and add a few thoughts to your article about this remarkable mountain range, typing flutelike on the binary hand-grip keyboard with barely perceptible movements of your fingertips. An hour later you are camping. The smells from the stove are intoxicating and something smooth is on the stereo. In its own tent the bike waits, security system alert and watching for movement. You can’t relax yet, though—you have to consult a CAD file prior to the sked with your friend in Ohio. You climb into your tent, and under candlelight open an aluminum suitcase, flip up a small antenna, touch a key to awaken the laptop, and sign on to the bike via UHF business-band packet datacomm. A few quick commands, and you hear the SPARC’S 414-megabyte hard drive quietly spin up off in the distance—the file enters your local system RAM disk in short 4800-baud bursts. While munching linguini with clam sauce, you peruse the schematic and make a few notes. Once you get the pinout data from Ohio and finish the changes to the CAD file, it’s time to ship it to your partner on the design project. 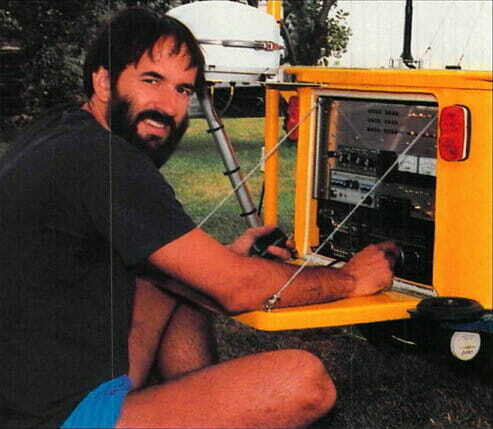 You extend the fiberglass BYP (big yellow pole) mounted on the back of the trailer, aim a six-element Larsen 900-MHz Yagi antenna in the general direction of Redding, and via the laptop RF link direct the system to check for a clear cellular phone channel. That established, you pass the schematic file to the fax software and let the bike handle the details of sending it to a fax machine in Boston. As long as the cellular antenna is set up, you sign on to GEnie to upload a long-overdue column and get the mail, then kick back with a little nip of Grand Marnier for a relaxed evening staring into the fire and chatting with your sweetie. Ah, the outdoor life. When I met Steve in late July, 1991, he and Maggie were holed up at the farm of John Sawhill, WA0O, in Winterset, Iowa. He had started BEHEMOTH’S shakedown trial with the RAGBRAI—the Register’s Annual Great Bike Ride Across Iowa—a 15,000 rider, week-long tour across the state sponsored by the Des Moines Register newspaper. A broken rear hub had forced the layover after only a few dozen miles. I was attending the Central States VHF Society Conference in Cedar Rapids, and the chance to meet Steve and see his latest creation lured me to his western-Iowa hideaway. I had 700 free miles with my rental car, so why not? And the prospect of sharing an evening of Midwestern hospitality sounded good, too (I grew up in nearby Minnesota). Seeing BEHEMOTH in a magazine is one thing, but seeing it up close is another. As a fledgling techno-junkie and former long-distance cyclist, I could only gawk and giggle as Steve showed off the bike. It was incredible! The level of technical sophistication and integrated mechanical design would have been at home at the Mercedes-Benz R&D shop. Steve doesn’t put up with engineering that’s merely workable, he creates unbelievable, elegant solutions. After poking around the bike’s many systems for an hour or so, we retired to a hearty farm dinner and an evening with the Sawhills, grandparents and all. I slept in a big RV parked in the driveway. Before I turned in, Steve stopped in and we talked for more than five hours amidst the honking, snorting and generally mysterious noises of a large farm (the pigs were especially rambunctious. They would stomp around and slam into their metal feeders, sending eerie crashes and clangs ringing into the night). All in all, it was one of the most unusual interviews I’d ever done. A rushed photo session followed, and before I knew it, I had to speed (literally) back to Cedar Rapids to catch a 3 PM flight to Minneapolis. I hadn’t been home in two years, and I was looking forward to a week’s vacation with my family. To my regret, I had to leave in such a hurry that I didn’t get a chance to say good-bye to John and his family. My apologies, John. I had a great time. Interested in getting your ham license? This book makes studying for the Technician Class exam very easy… and comes with a companion CD with practice tests: The Ham Radio License Manual (2014 Edition). 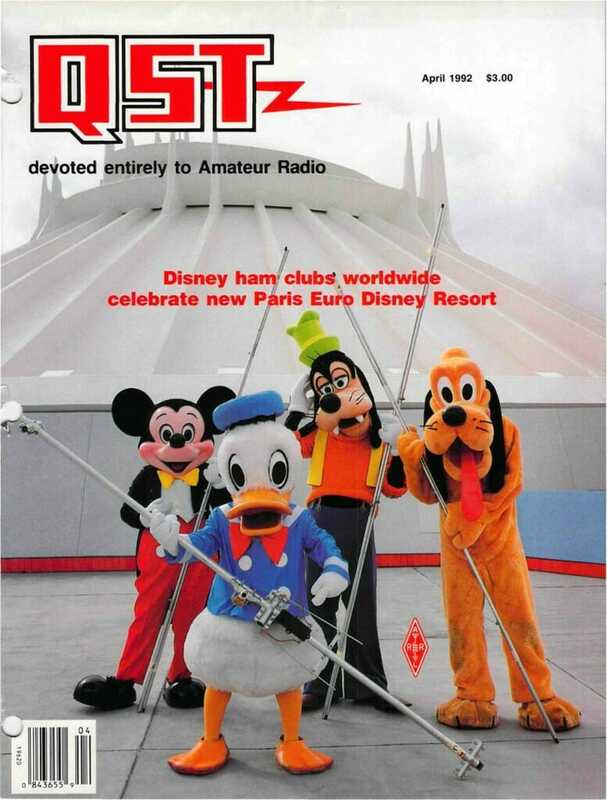 Subscribe to QST (which is consistently excellent) by joining the ARRL.